Live Wire Park is Australia's first and only elevated outdoor adventure park completely powered by nature. 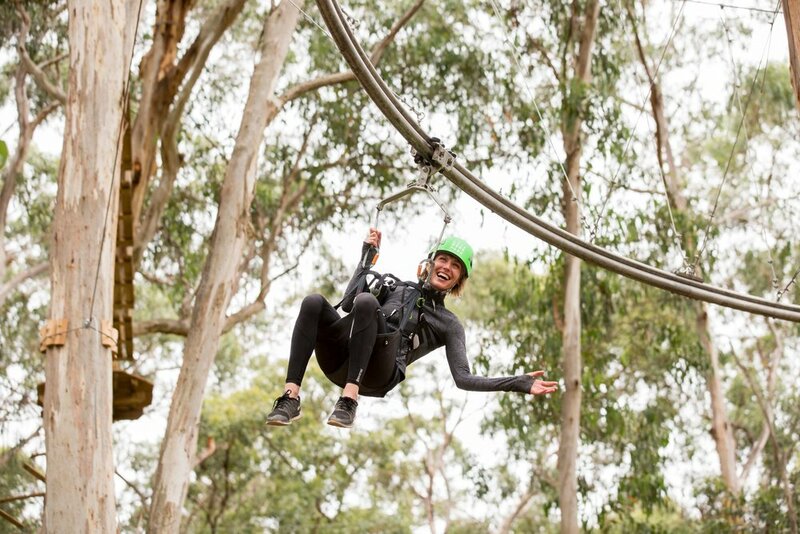 Nestled among the towering Otway treetops in Lorne, Victoria, Live Wire Park is an electrifying outdoor experience perfect for all ages. Visitors to the park can glide, zip and climb through one of the park's exhilarating circuits, including Australia's most extreme zip line, the 525-metre-long Shockwave Zip Coaster. Passionate about sustainable tourism, the park has been thoughtfully designed to have minimal impact on the environment. The park is powered by solar and all water on site is collected, used and treated to reduce waste and optimise natural resources. Assisting the park's opening in March 2018, Progressive PR & Communications developed a state-wide communications strategy to create awareness and drive business. Ahead of Live Wire Park's first summer season, Progressive PR & Communications again secured a range of opportunities across newspapers, radio, online and social media to establish Live Wire Park as the ultimate outdoor adventure destination over the summer period.